Rabbit Creek is an overall delightful hiking experience with several highlights and options. It makes for a fine loop hike that includes Abrams Fall Trail. 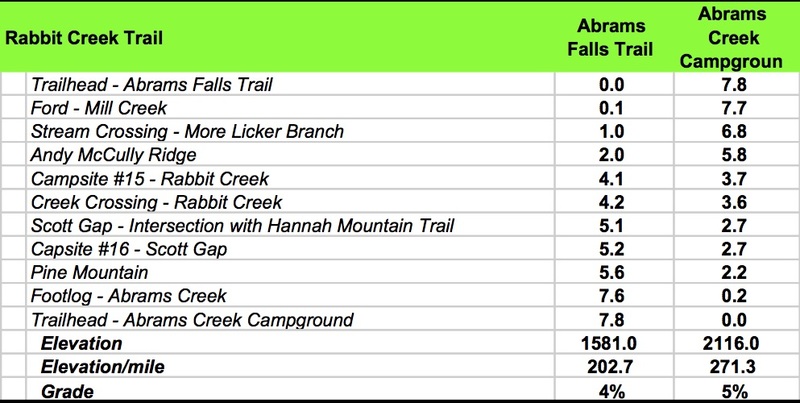 There is ample water on the route and there are two campsites, CS #15 and CS #16. It is a challenge to hike the entire length of its 7.8 miles in one trip unless you opt for a 15 mile Yo-yo. 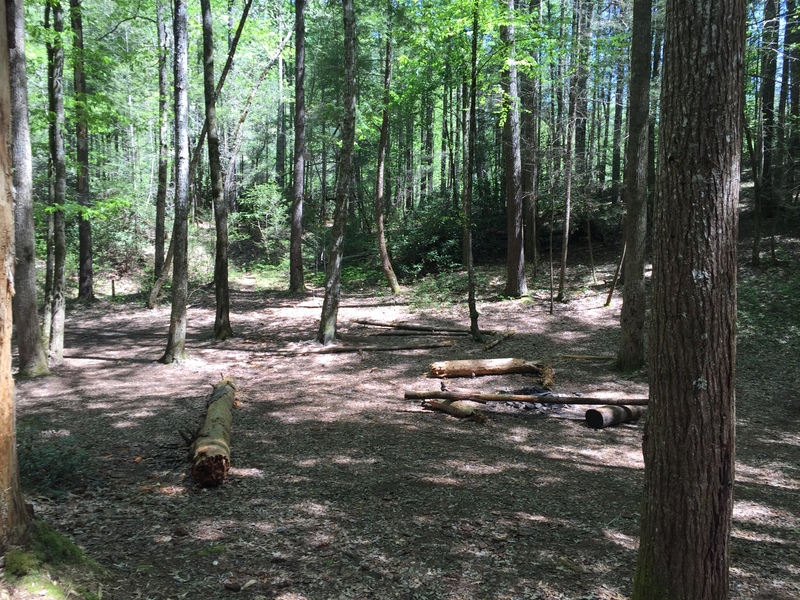 This is due to the trailheads being prohibitively far apart; one in Cades Cove and the other many driving miles away in Abrams Creek Campground. level walk the trial begins a steady descent until you reach Campsite #15 – Rabbit Creek at 4.1 miles. Rabbit Creek, the trails namesake is just beyond the site at 4.2 miles. The Rabbit Creek crossing is wet and can be difficult in high water. 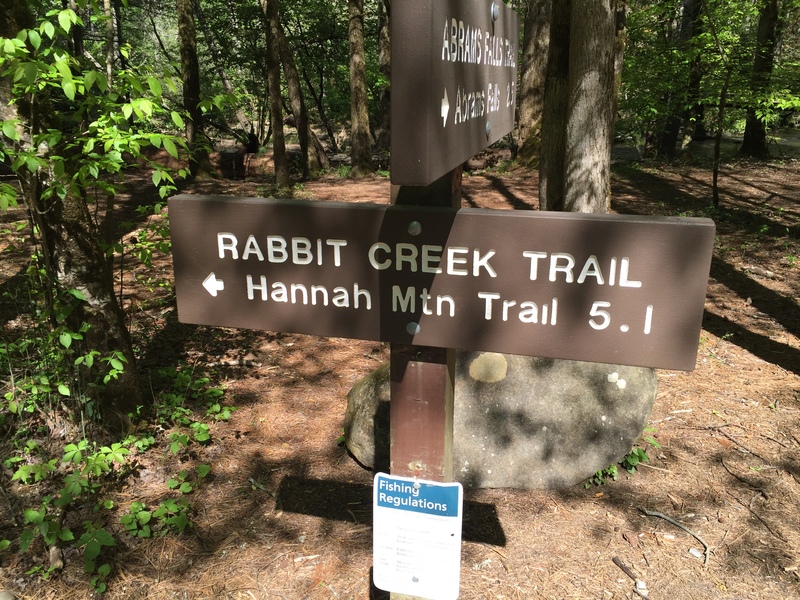 At 5.1 miles, you reach Scott Gap where the trail intersects with the Hannah Mountain Trail which leads 1.9 miles to the right and intersects with Abrams Falls Trail. Campsite #16 – Scott Gap is down a side trail at this intersection. It is the site of a former shelter. 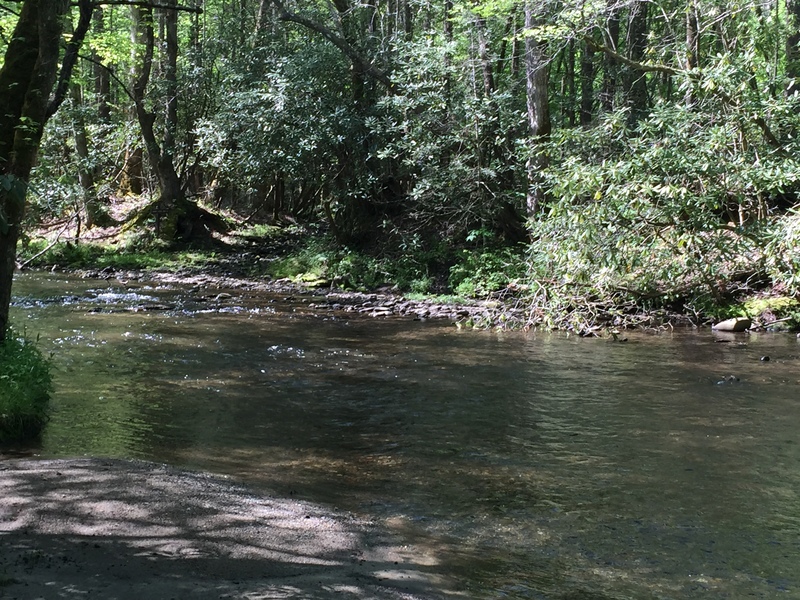 From Scott Gap, the trail climbs slightly for a mile to crest Pine Mountain and then descends steadily to Abrams Creek at 7.6 miles. 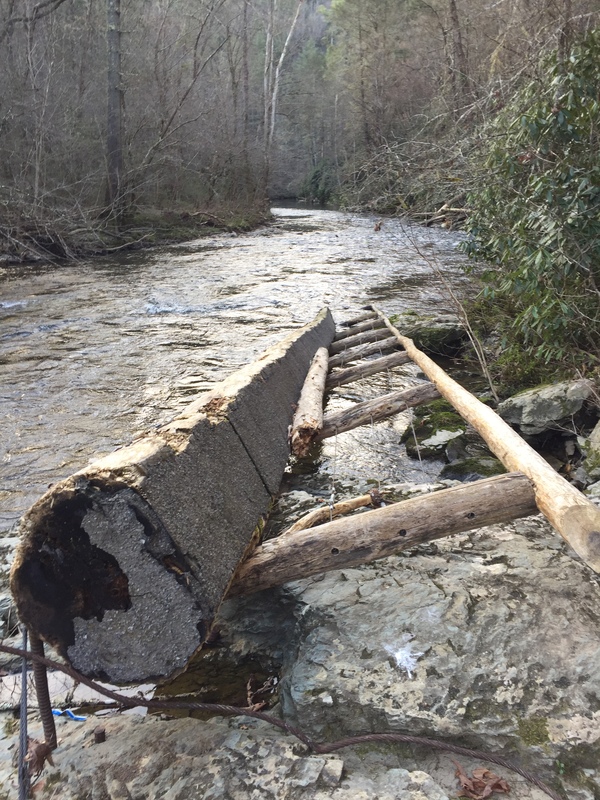 Ordinarily there is a footlog across Abrams Creek but in times of high water, the bridge becomes disconnected from it’s mornings as was the case in this hike. 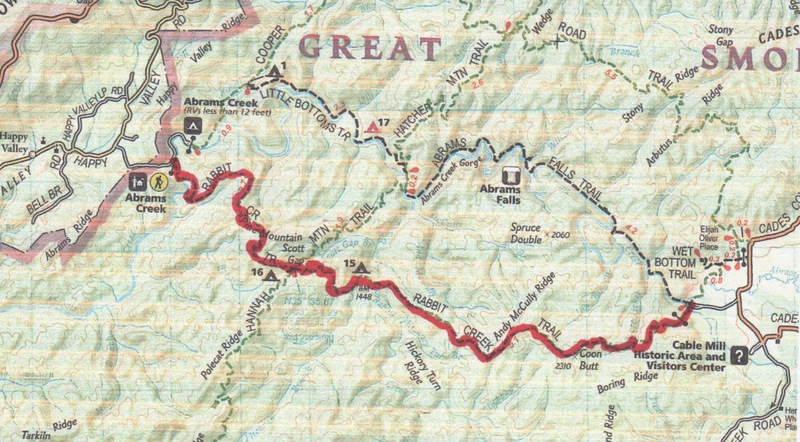 Consequently, the hiker must ford the creek before reaching the trailhead at 7.8 miles, making Rabbit Creek one of the few trails with a wet crossing at either end. This entry was posted in Trail Log and tagged Campsite #15, Campsite #16, Rabbit Creek Trail on May 28, 2016 by blogginggazelle.